In today’s world of increased document transfers and use, the PDF (portable document format) has become one of the most popular ways to share and transfer documents in a uniform format. The issue that this poses however is that the Doc or DOCX format is also quite popular, so this creates the need to convert PDF files to Doc and DOCX for editing. This is where having the best PDF to Word converter becomes necessary. Basically, what PDF to word converter software help to do is to allow you to open your regular PDF in Microsoft Word so that you can work on them. 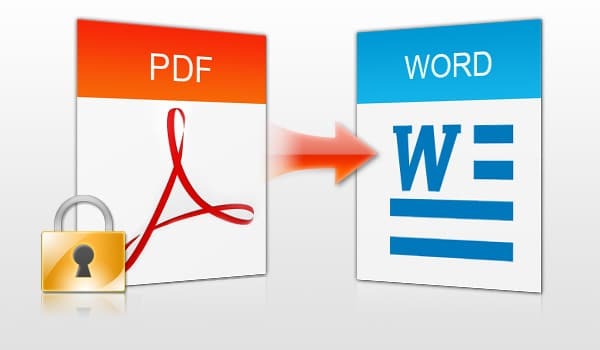 Although this feature is available in Microsoft Word (called PDF Reflow), the limitation of this, like most free PDF to Doc converter, it offers a very limited conversion service. Examples of such limitation include non-conversion of tables and cells, bookmarks and tags, footnotes and endnotes etc. As you will agree, these are quite crucial to every document and cannot be discarded just like that. There goes the reason why you need the best PDF to Word converter to do all the necessary conversion while still retaining pretty much everything that existed in the original document. In this article, I will be reviewing 12 of the best PDF to Word converter software for Windows PC. TalkHelper is a sophisticated PDF to doc converter that provides one of the best quality conversion jobs on the market today. 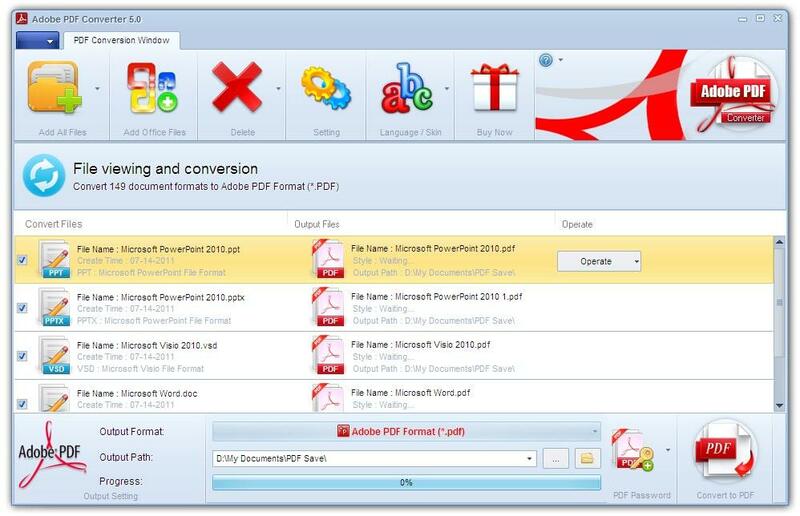 Besides its efficiency, it is a very easy-to-use software if your aim is to convert PDF to the editable doc. The UI and UX are well crafted to take out all the stress and hassle of difficulty to understand and use that most PDF to Word converters are known for. More so, it is designed to work in a drag and drop format for converting your PDF files into quick editable Word documents. To use TalkHelper PDF to Word converter, all you need to do is to access the quick download option from the website or from a quick search on Google. Then you install the software. Once this is done, the whole process of PDF to Docx conversion is as simple as dragging the PDF file into the TalkHelper PDF to Docx converter and you get to select the output format you want. On TalkHelper, the default conversion is set at Word so, there is no need to go through the stress of setting things up before converting your PDF files to Word docs. TalkHelper converter clinched the top position in the ranking for the best PDF to Word converter basically because of the ease-of-use that it offers along with the robust opportunities and choice that comes with it. Based on the test conducted, the conversion process from PDF to Doc/Docx using the TalkHelper converter yielded a high-grade result. Everything from the font, image, text and formatting were all in the right places and format. In a nutshell, one can say that the TalkHelper converter did a flawless job of converting PDFs to Doc without any hassle or fault. For more robust use, TalkHelper comes in Windows App and Online version so that you can access it right from your PC via the App or you just use the online app and get your conversion done on the go, anytime, anywhere. TalkHelper PDF to Word converter is a full-scale efficient software that delivers the best of experience as a PDF to Word converter. Nitro PDF to Word converter is one of the leading and efficient pdf to doc converting software out there today. It ranks in the second position of our review of the best pdf to word converter largely because of its robust-feature advantage. So, for those of you who are out looking for a PDF to Doc software that will deliver a good level of conversion job, you can count on the Nitro PDF to Word converter. Like TalkHelper PDF to Word converter, Nitro also comes in two versions or type: the online and the PC app. The Online version is free but is limited in what it offers. One of the major limitations of Nitro is that you can only perform five (5) conversion per month. This is quite a limit if you will agree, but it can just be good enough if you are not a heavy user. The desktop app however is more diverse and needs to be paid for. Further to this, Nitro app gives a very good output per time and can do a very clean and neat conversion job. When tested, it shows itself to be quite good and easy to use. This made it well preferred and a good choice if you want a fairly good pdf to word conversion job done. For the online version, Nitro gets to email you the output of the conversion. Agreeably, this is rather limiting offers for users. Beside this emailing style of getting the converted file, there is also a capped limit of 5 conversions per month as earlier pointed out. The limitation may be a way of encouraging the use of the Windows app as opposed to the free online version. Whatever the reason, the app is way better than the online version. Considering the output of Nitro, it is a good pdf to word converting software. The conversion process didn’t really change the texts and format. Everything comes out good from the conversion process. Nitro PDF To Word Converter is a good level software that does the job without any fuss or hassle. The efficiency of this software cannot be downplayed by any means and this has results to show. You must have known or heard of the brand name WPS if you use an Android smartphone. They are popular for the office (Word, PPT, Excel) processing software on smartphones. 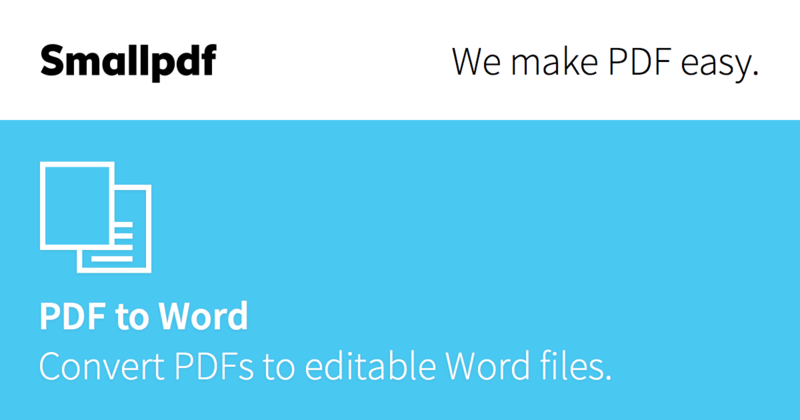 Now, they took it a notch higher with the introduction of their PDF to Word converting software. Every user of word processing docs will agree that there is a time that the need to convert PDF to Word (Doc, Docx format) arises chiefly because of the need to edit them. To this end, the WPS PDF to Word converter comes in third in the list of top PDF to Word converter. One of the things or features that stands this one out is the extreme ease with which users can handle things. To convert, all you need to do is drag the file right into the WPS converter software and select from the list of options there. Once done, you just need to wait for the conversion process to commence and there you go. 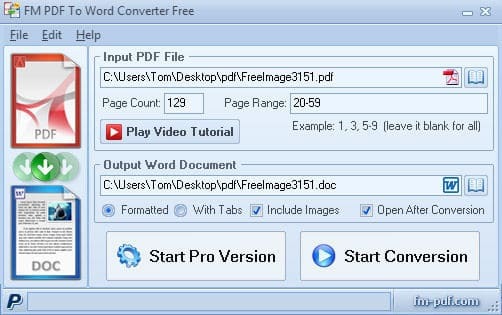 Even though the WPS converter is a pdf to word software, it also provides variants of conversion within the Word sector. You have the choice of converting to DOC or DOCX. As small as this may seem, the need to convert to a specific format of Word Processing can be the difference between a job well-done and partial success. Like our number one best PDF to word converter here – TalkHelper PDF to Word converter – WPS also comes in two versions: online and desktop app. The online version is free and has a limited conversion range. On the other hand, the app has a robust conversion delivery for users without any hassle. Like all the other converting software on our list, the conversion output of WPS is preserved in good quality and retains all the style and formats that the original document comes in. these here are reasons why WPS made it into our list of top 5 best pdf to word converting software. Since the name WPS has been around for a bit and has shown a good level of assurance in their work so far, I can easily affirm that their PDF to Word converting software is a good-grade tool for conversion. It is not very often that one comes across an online-based app that is designated for pdf to word conversion and still does it with high level of quality. Well, here you go. The Free Online OCR pdf to word converter is the software that fits into that description. As implied in the name of the software, it is web-based and employs the use of OCR (optical character recognition) to detect the text in the scanned PDF document to be converted. Given the fact that this converter is web-based, the most effective way (or perhaps the only way) to get your pdf to be converted is to scan them and upload for conversion. Another cool thing about this web-based conversion service provider is that it does not mail the output to you as most others do. Matter-of-fact, you have the result of your conversion in a few seconds via a link to download your word in no time. There goes one reason why you should make this your go-to web-based conversion software for converting your PDF to Word. Another reason why you should opt for this is that it can be accessed and used even on the go. Whether you have your PC, tablet or smartphone with you, you can perform your desired conversion at any point in time. All you need to have in place is the scanned copy of your documents handy. Although there is the caveat that some parts of your texts may not appear if they are in colored or have colored background. Beside this, there is almost no downside with the Online OCR. Based on the fact that this is web-based software, it is very comfortable to use converting software that can be carried and used anywhere and at any time. This is one of the awesome features and character of the Free Online OCR. The UniPDF to Word converter comes in two versions: the trial and the paid version. 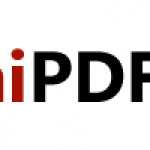 As is typical of all paid and trial versions apps, the UniPDF can be upgraded. However, the trial version can only convert three pages per time, so this is the only visible hindrance that comes with the UniPDF converter. Here is one thing that makes the UniPDF converter outstanding: during the process of conversion, all the details in the document are well contained. From all the details in the edges of the file to all images and color of the files are duly captured. 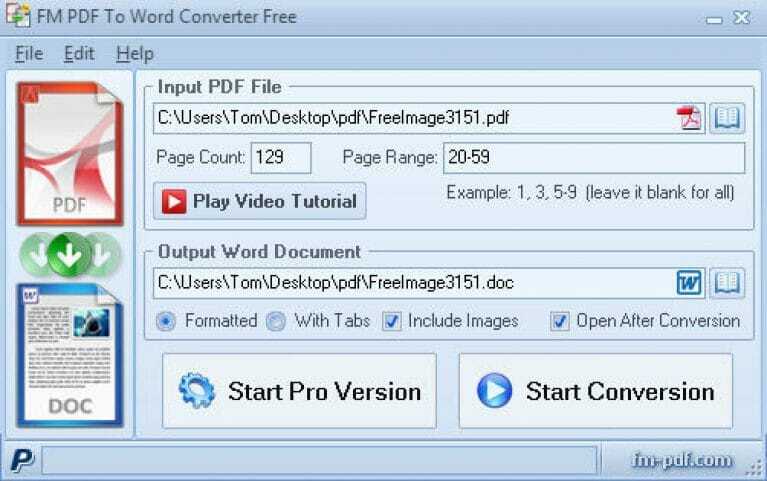 This converter is independent easy-to-use software that produces some high-quality output of PDF to Word. Further to this, unlike many other PDF to Word converters that have size limits, the UniPDF converter does not have any size restrictions. The User Interface (UI) is a very simple and easy-to-use such that it does not require any advanced knowledge to perform your conversion work. All you need to do is “add” or just drag the file to be converted to the ‘conversion panel’. After this, you click the ‘convert’ button and you are done. It is as simple as that. UniPDF is a very versatile converter that has a good level of speed and good grade output. 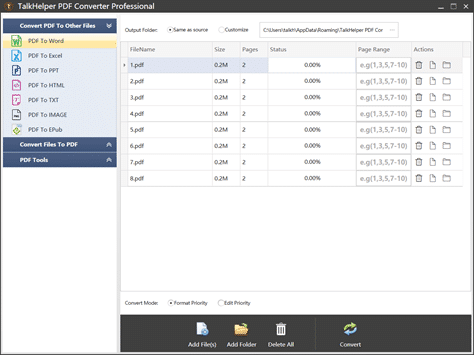 Small PDF converter is a web-based converter that is very sophisticated from the first glance. Unlike many other converters, the Small PDF is very easy to use and can be understood from the first glance. As seen from the website, this converter has the ability to do multiple tasks without a fuss. As per conversion, it can convert from PDF to many other files and many other files to PDF. Aside from conversion, it also performs other features like editing of PDFs, merging PDFs, compression of PDFs. Splitting, unlocking, rotation, and eSigning. For a small PDF, as the name suggests, these features are quite impressive. More so, Small PDF is a free app that does not require any sign-ups and registration. If anything, you only get to register if you need to get access to more advanced features and this comes with the pro version. The key difference between the Pro plan is access to more robust features and ability. Another great thing about this app is the fact that you can share billing and even have multi-user functionality and management. I found this very cool for small-scale enterprise who have a handful of staff that needs PDF conversions service. After all, is said and done, it all boils down to effectiveness and efficiency. If those are anything to go by, then the Small PDF conversion app is a very efficient app that promises and delivers high-grade conversion work without a hassle. I will have to reiterate this again, this app is very efficient at what it does and is well fitted to deliver good grade conversion work. However, this should not be mistaken for an app that can do large-scale work. Without a doubt, it can work for a small enterprise, but I don’t think it can do any more than that. As in implied in the name, Solid Documents PDF to Word converter is indeed a solid app that delivers an impressive conversion job. Much more than just converting PDF files to Word, this app also does conversion from PDF to PPT, XLS etc. and can even convert all those back to PDF. So, you should not be taken aback by the name. When tested, this app delivered a conversion efficiency that came a bit close to what Nitro PDF can do. Solid Document converter did a perfectly good job with the extraction of both text and layout. This stands out for me because a handful of the PDF conversion apps I tested did very well with text extraction and failed woefully with lines and graph. Some did fine with text and graphs but could not do well with images etc. As per pictures, I cannot say much about what this app can do because in 5 tests (PDF files with texts, graphs, lines, and pictures), 2 came out well with pictures while the other 3 recorded some level of alterations. If you are looking to use this app for your conversion, you should be ready to get the paid version between $39.95 to $80. If not, you will have to make do with the watermark that comes with all the output. Moving to the design, as is the norm, a simple and efficient interface is always better than an overly clogged user interface. In this case, Solid Document converter scores well. It has a very direct approach that makes it easy for users to know what to do and where to get what. Although not as popular as other leading names in the PDF conversion business, Solid Document PDF converter has enough good features to compete favorably with the big names like Adobe and Nitro Pro. 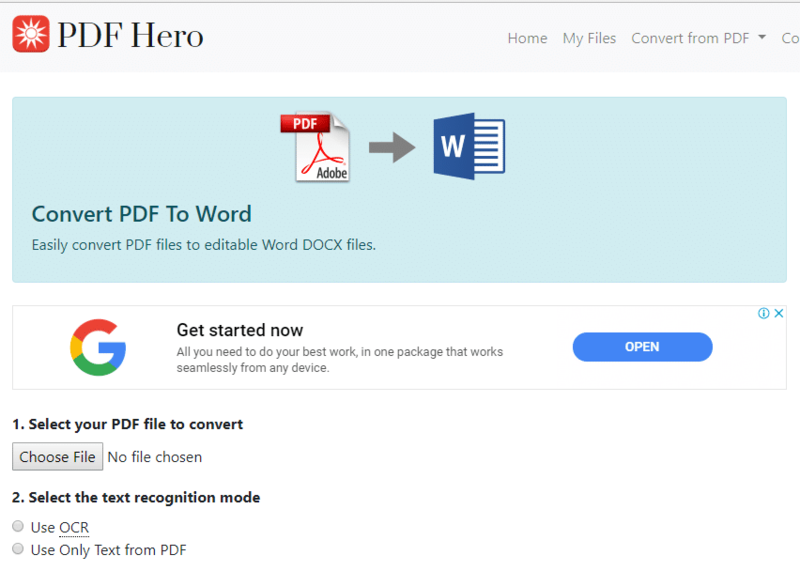 When I first heard about the PDF Hero, I was skeptical as to why it was named Hero. Then I delved into the converter software to see what is heroic about it. 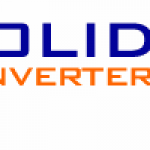 First off, this converter has a downloadable app and a web-based service provider that can be accessed from its website. This is impressive. Only a few offer such service. Much of the apps around are just downloadable and those that are not; have just web-based access. PDF Hero has a wide array of conversion options to select from when it comes to what it offers. A look at the website and it is clear that they are ready for business. As per conversion to PDF, the options of files that can be converted are almost unlimited. There is a chance for you to convert virtually any kind of file you want to PDF. Anything from Word, Excel, PPT, TXT. RTF, Open Office ODT, ODS, ODP, WPD, CDR, PostScript, HTML, PSD etc. Without a doubt, this can well pass as the most robust list of conversion to PDF options I have seen from any conversion software in a long time. 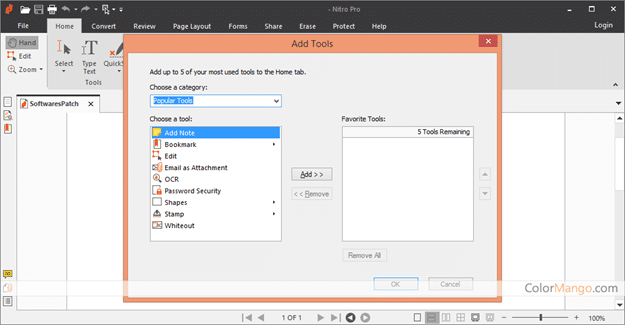 Aside from conversion, there is also the feature of compression that the PDF Hero offers. It helps to compress the size of any PDF file so that it is reduced to a more reasonable size. This may not be a big deal for many people, but because it offers features that many PDF conversion apps do not offer, it is a plus for PDF Hero. This PDF to Word conversion software has scored many points for itself with the sophistication it brings to the table. It has web and downloadable app, can compress and also have multiple options available. There are no mincing words about this, Hero PDF is a good grade converter app that gives value for its money. 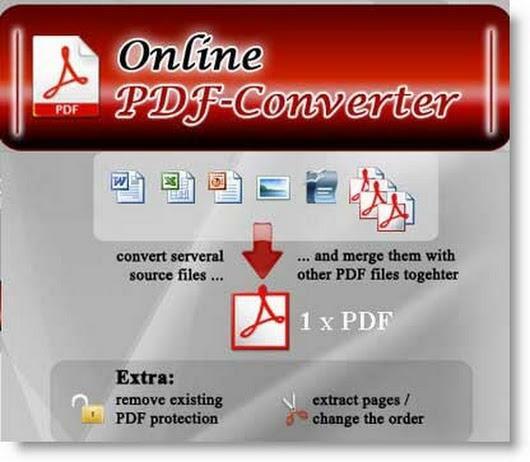 Adobe PDF Converter can well be labeled as the pioneer and the leading hallmark of PDF creation and conversion app as of today. This accolade is given for a good reason. It has a very robust set of tools that delivers one of the most unrivaled options for its users. Away from this, there is the cloud subscription option that it comes with. This alone makes it stand tall above and beyond many of the similar apps available out there today. The cloud features make it very easy for enterprises to connect and work together on files remotely as well as physically and makes it easier for individuals to transfer, modify and create files with a high level of security and assurance. Now another thing that caught my fancy was the sleek interface. The design is clean and smooth, easy to navigate and very easy to access by any level of user. More so, as a take-off from its cloud features when you download the software and the app, you have a seamless sync of connection to your file anywhere and anytime. Backup is exceptional and very efficient. When talking about the help and resources option, this might as well be the PDF conversion app with the most prompt and concrete support service. Its OCR features are also very great in its output because it helps you to access and edit your PDF throughout its lifecycle and at any time. Whether you are a using this for personal or official use, you can count on it to deliver a full-scale service to you without any hassle. Most of the big corporations have been known to use this as their go-to PDF handling app. More so, business conglomerate and government organizations also trust it for its good level of security. 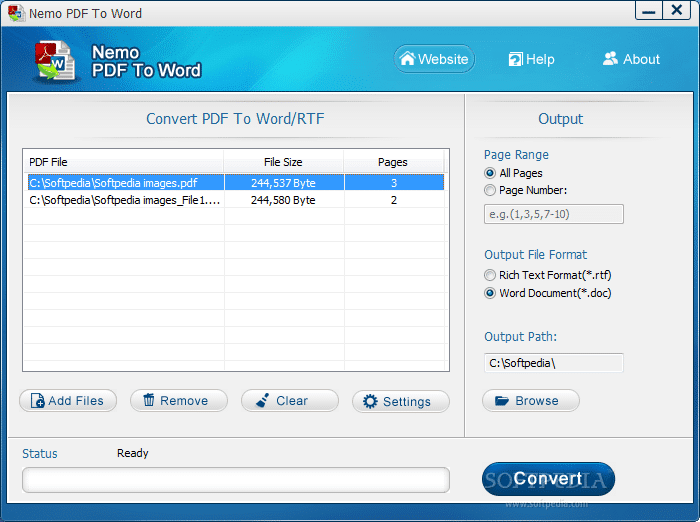 Nemo PDF To Word is a PDF conversion app that does just what the name indicate: convert PDF documents to Word and Word related files. That means that it converts to DOC, DOCX, and RTF. Nothing further than this. 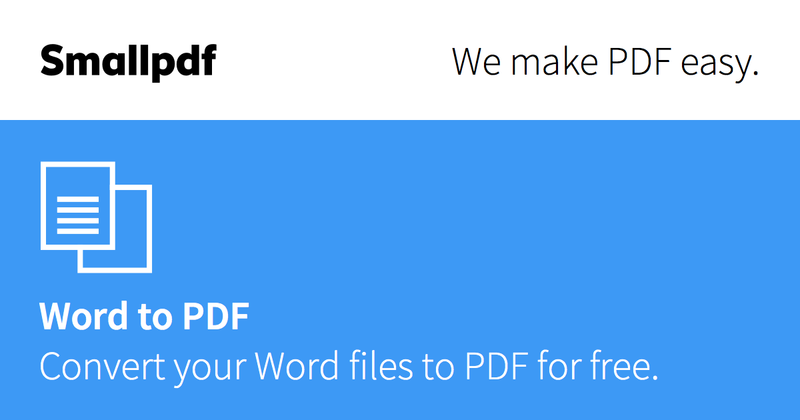 Although the restriction of PDF to Word conversion alone is a huge limitation for Nemo PDF, it made up for this with the smooth and very user-friendly interface it comes with. Further to this, it has a very intuitive interface that can be used by all level of users. As good as the Nemo PDF To Word app is, there is a limitation to it. One of that of the absence of a ‘drag and drop’ functionality. This means that for every upload, you will need to use the file browser and search all through your folders. To me, this seems like a handicap for quick access. This is because it has become the norm for me (and I know many people are like that) to open the folder where the file I want to work on is and then drag into the necessary app. This may not be something to make a fuss of, but I still think it takes a few points off the mark of Nemo. Then, there is the batch processing feature that makes it possible for users to upload and work on them in batches. Talking about the general output of this app, it makes some good grade output that is just as exact as the original file fed into it. Also, this software allows you to work on PDF files that are created by other software. However, it does not allow you to work on Adobe PDF files. In its own way, Nemo PDF To Word app is very good. It converts at a relatively good speed and gives out very good output. As much as there is better PDF to Word conversion apps out there, Nemo has a place that can be envied by most that are not there yet. FM PDF is a dynamic PDF converter that has a dual band approach to rendering its service. Much more than just being a converting app, there is also the feature of serving as a PDF opening or reader as you may prefer to call it. So, if you are not converting or creating with it, you can also be reading your PDF files with it. Now tell me if this is not ingenious? In today’s world, there are many who need the service of PDF conversion and editing but may not be able to afford the paid versions. That is why FM PDF thought of making the free web-based version that provides a good level of features to cater for most needs. There is also the paid (downloadable version) that comes with more robust and sophisticated features. The free online version provides such service as any files to PDF, providing PDF viewership and reading ability, link shortener among other things. This places the FM PDF as more than just another converter. It can pass as a full stack web app that gives all that one will need in handling PDF files. Enough said about the web version. The desktop version does a more robust job. It converts everything from Word to JPG, PNG, BMP and GIF files to PDF while still offering all that the web app does and more. The tricky thing about FM PDF is that as an individual, you may not be able to bring yourself to reason about why you should get the paid version when the free web-based offers just about the same thing. I may not be able to justify that for you, but I know that if you need these services as an organization, you are better off with the paid version. Everything about the FM PDF appears to be appealing but I must say that I am not impressed with the user interface. There is so more that can be done to make the interface appealing and reassuring for me and anyone who holds that as crucial. If anything can be said about the FM PDF, then it is that it is good for sole use at best. From the look and feel, it does not come across as a tool that can be leveraged for enterprise use. Online2PDF is a rather simple and efficient web-based PDF conversion tool that is capable of performing all the tasks that you may require as an individual. There is absolutely no need to download any app at all before using this app. Just log on to the website and you do your thing. Just like Nemo PDF, Online2PDF also does not have a “Drag and Drop” feature. You will need to search the file from your folders and upload before conversion can be carried out. This is a shortcoming but does not take many points out of the score for Online2PDF. This is because as a web-based app and rather slim-featured app, there isn’t much to be expected from this app. You can convert files from various formats to PDF as well as convert from PDF to Word, Excel, PowerPoint and many other formats. You may convert one file at a time or multiple files in one go. You can even merge files, split files, convert specific pages, rotate pages, etc. The whole process of conversion is carried out on a secured connection and your files are immediately deleted. What more assurance of safety and security can one think of from a free web app? A detailed, step-by-step Help Section, guides you through the steps. The only limitation is that the maximum file size is 100MB. You can select up to 20 files at a time, but all files, together, must not exceed 150MB. With the backlog of information and content that has covered the internet in this age, the problem facing human being is not the lack of resources. Rather, it is the lack of getting good resources. This is the same case with getting the best PDF to Word converter. So, in the bid to get a good grade pdf to word converter, there are a few factors that you will need to look out for. 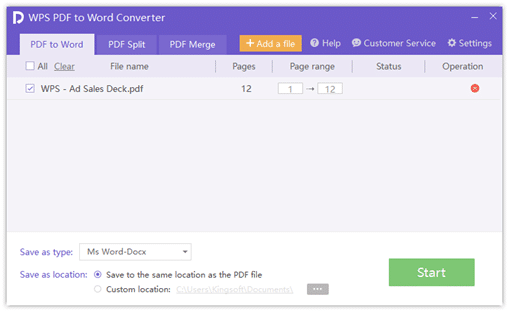 In this section of the article, I will be sharing a few tips about what to consider when looking to clinch the best PDF to Word converter. Easy To Use User Interface and Seamless User Experience: In every software, the mail thing that an end-user will always encounter first is the design interface and the user navigational experience. Regardless of how efficient a PDF to Word converter is, if it has a rather clumsy look and an equally unfriendly navigation, users will soon tire out of its use. So, you are supposed to ensure that the pdf to word converting software you opt for has a great UI and UX. If you notice, this has been a consistent feature in all five of the best free pdf to word converter I have reviewed in the upper part of this article. High Quality Output: second to having a good UI and UX is the need to verify the quality of output that the supposed software you are opting for offers. In this regard, you want to confirm that the software has the ability to render all the details of your PDF into Word without any omission or alteration. From tables to graphs and lines, the best PDF to Word converters always deliver every detail exactly as they appear in the original PDF file. This should not be compromised for anything. Price Factor: as is well known, everything good comes at a cost and premium things do even come at a higher cost than the regular. The same is true when getting a good pdf to word converter. However, the price factor must be commensurate to what the supposed software delivers. That is why the free/trial versions of software only give a taste of what it offers. When making this choice, it is crucial that one verify that the converter has enough robust offering to justify the cost of its purchase. Verify Support For Accessing Encrypted Files: with the rise of right protection and classified documents in the digital space, much has been the stake and need to protect every inch of digital documents. This is the reason why many people often protect their documents in PDF formats and also encrypt the furthermore. This regardless, a good pdf to word converter should provide the access to decrypt encrypted files (although with the user’s access to legal right to do so) and proceed to convert them to Word. This is also a crucial factor to consider when looking out for the best PDF to word converter. Conversion Speed And Efficiency: for a number of people, this may not be a factor to consider, but if you are to judge a pdf to word converter as one of the best, you cannot downplay the speed factor. Conversion speed is a direct import of efficiency. When converting your files, you don’t want to be stocked and waiting for ages before your file comes out converted. Getting a speedy conversion goes to show how easier it will finally be for you to enjoy the output of the conversion software you opt for. In a nutshell, I have summarized the crucial factors that you need to consider when looking for the best converter and in the same vein, I have reviewed the 12 best converters that have been rigorously selected chiefly based on the efficiency of service delivery and the high grade effectiveness of the software. To this end, you have no excuse not to be able to make a well-guided choice as per selecting a perfectly working PDF to Word converter.